A House Appropriations Committee bill released Tuesday prohibits any of DOLs funds from being used to finalize, advance or enforce its fiduciary rulemaking. 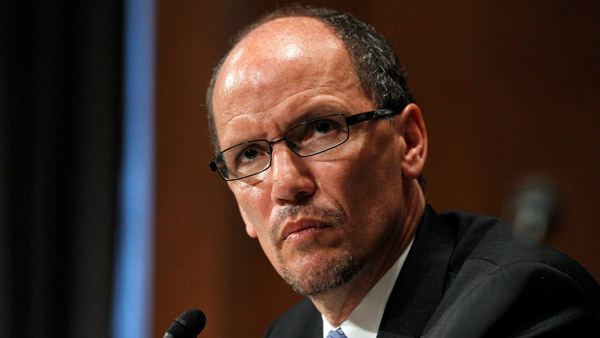 Just as Labor Secretary Thomas Perez is set to testify before House lawmakers Wednesday regarding the Department of Labor’s rule to amend the definition of fiduciary on retirement accounts, the House Appropriations Committee prohibited Tuesday any of DOL’s funds to be used to finalize, advance or enforce its rulemaking. Perez is set to testify Wednesday morning before the House Committee on Education and the Workforce during a hearing titled “Restricting Access to Financial Advice: Evaluating the Costs and Consequences for Working Families and Retirees.” A House Appropriations subcommittee is expected to approve the DOL funding measure the same day. In its funding bill, the House Appropriations Committee states that “none of the funds made available by this Act may be used to finalize, implement, administer or enforce the proposed definition of the term ‘’Fiduciary’’; Conflict of Interest Rule — Retirement Investment Advice regulation,” which was published by the DOL in the Federal Register on April 20. Rep. John Kline, R-Minn., chairman of the House Education and the Workforce Committee, and Rep. Phil Roe, R-Tenn., chairman of the Health, Employment, Labor and Pensions Subcommittee, renewed their call on June 4 for Perez to hand over all correspondence the department has had with the SEC regarding DOL’s ERISA fiduciary redraft. The lawmakers told Perez in a letter that they were not satisfied with the answers he gave them after their previous requests for such information. The committee, the two lawmakers said, is concerned “with the potential impact of this complex [fiduciary rule] initiative on workers and retirees and believes any rulemaking on this matter should be the product of coordination” with the SEC.